We required a £100 deposit to secure your stay, which will then deducted from your overall balance which is required 8 weeks before holiday. We also require a £75 damage deposit, which will be returned to you 7 days after your stay at our holiday home has finished, providing that everything is left in the same state as it was found and that the keys to our holiday home have been returned. We are also flexible in terms of days you can start and end your holiday, whether it be Saturday to Saturday, Monday to Monday or Friday to Monday - please contact us if you wish to discuss specific dates. Did you know that Seashore was awarded the "Park of the Year" award from Bourne Leisure in 2018? 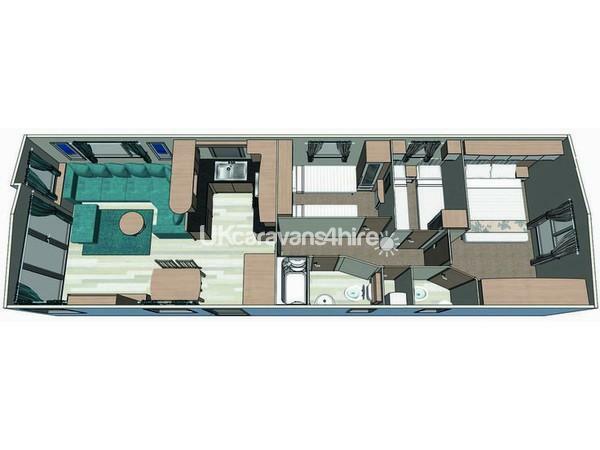 This is a three bedroom, luxury holiday home which can accommodate up to six people. Situated on Haven's Seashore Holiday Park in Great Yarmouth, the site and caravan is able to cater for all types of customers, including families, customers and friendship groups. The lounge and dining area is very spacious, including free standing furniture. In the lounge, there is also a gas fire, a 32" Freeview Television, a DVD player and patio doors which open out on to a 12x4 decking area. There are 3 bedrooms. 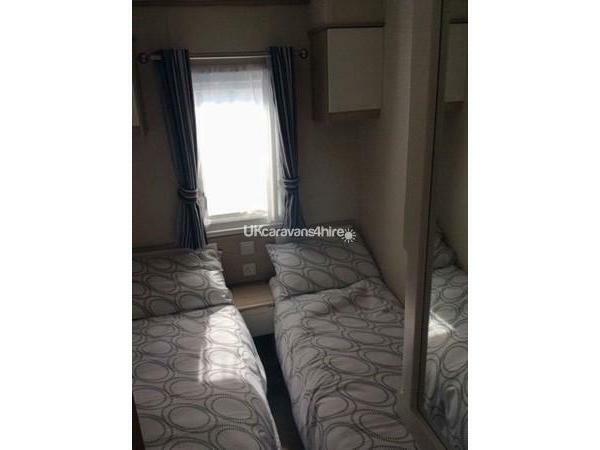 1 double bedroom with an en-suite toilet and 2 twin rooms (2 single beds in each room).There is a bathroom, which has a double shower cubicle, a hand basin and a toilet. Duvets and pillows are supplied however bed linen is not provided and you will also need to provide your own shower towels. 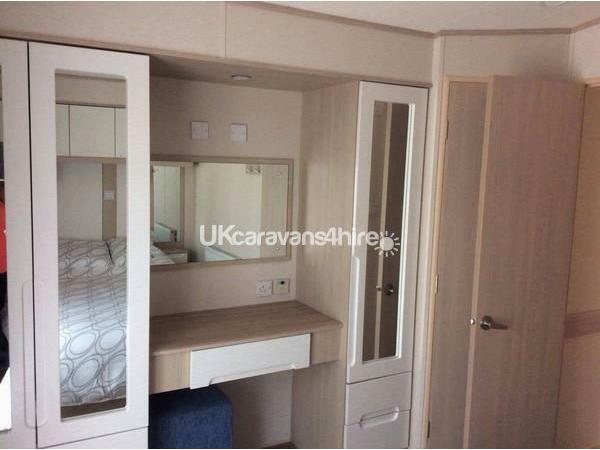 The kitchen is fully furnished with a gas cooker, a large fridge-freezer, a microwave, a kettle, a toaster and along with everything else that you will need to complete your holiday. Our holiday home is situated in the middle of the two main attractions. The first main attraction is the Live Lounge which is home to the evening entertainment and also the arcades. The second main attraction is Coast House Bar & Cakery where you can enjoy the indoor swimming pool and also have a bite to eat and a drink. This holiday home really is a home from home. It is well equipped with personal touches to make you feel even more comfortable whilst on your well earned holiday. 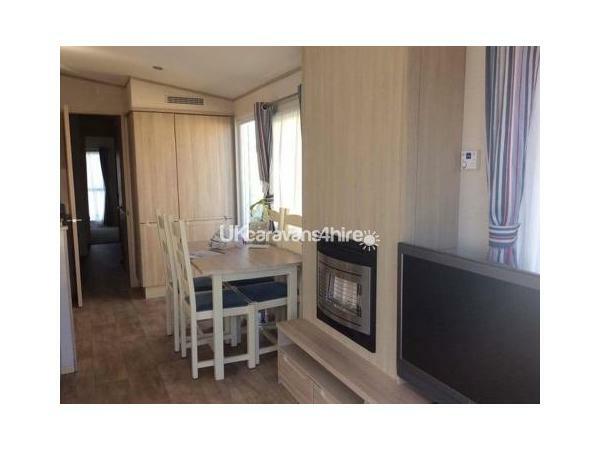 In our opinion, this is the perfect location for your caravan holiday, which is able to cater for all types of people and it is an ideal base for exploring all that Norfolk has to offer. A brand new, multi-million pound investment on a new "Splashaway Bay". The new concept will not only incorporate a new Deck Level Pool but also an innovative and fun Water Confidence Pool and 3D Aquaplay Unit! The multi-lane slide will be staying, the changing rooms and showers will be completely revamped and a dedicated entrance to the pool will be built. The project will be rounded off with a new flume tower and TWO state of the art Flume Rides! Grab a bite to eat at the restyled Coast House bar and grill or enjoy a yummy cake at the brand new Cakery, there is also a new indoor soft play and outdoor play area to keep the little ones busy! Please note: Entertainment passes are not included in the quoted rental price. Please ask us and we can provide you with prices for the entertainment passes. All payments that are made are non-refundable. We do not include bed linen or towels. Splash the day away in the new indoor Shore Water Park, scheduled to open in April 2019! Grab a bite to eat at the restyled Coast House bar and grill! Enjoy a yummy cake at the brand new Cakery! A new indoor soft play and outdoor play area to keep the little ones busy! Please note; All of the new developments are scheduled to be completed in time for April 2019 and some will require the purchasing of Entertainments passes. Please be aware that Seashore's swimming pool will be closed until 5 April 2019, and the flumes will be closed until 12 April 2019 while they finish the amazing new pool development. During this time, you're invited to use the swimming pool at Caister Holiday Park, and the park will be running a free shuttle service between the two parks, providing you have purchased your entertainments pass. Your entertainment passes can be purchased from the park's main reception upon arrival - we are not able to include them in your rental price. We had a great break at this caravan. The caravan itself was perfect, clean and had everything we needed. The master bedroom was lovely and big. The site is so close to the beach and we managed to spot a seal while we were there which was fab. The beach isn't packed even in mid summer which is great. The races were on one evening so the kids loved watching the horses go thundering by through the fence. The parks and facilities on site were great too. Location is perfect for the club/swimming pool and parks. Richard was excellent to deal with and everything went smoothly. 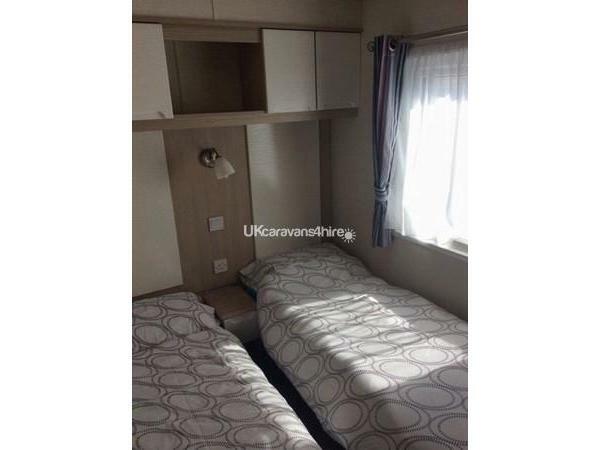 The caravan was 1st class with excellent facilities, very clean and spacious. To this add a wonderful veranda and location on-site & it made for a perfect holiday. The pool, bars and wonderful beaches for dog walking and chilling out were amazing - so much to do in the area too. Thanks and see you very soon! Recommended 5*. Nice week away in a nice location, all the amenities you need to have when you have young children, would recommend and will go again. The caravan was exactly as pictured and contained everything we needed. It was well layes out and very comfortable. Richard was amazing and very responsive throughout the process. I wouldn't hesitate to book with Richard again. We enjoyed a last minute short stay at Easter. We were very impressed with the caravan. Richard was friendly and helpful. Everything was all very clean and the kitchen had everything we needed. In a great spot too! Would recommend ???? It was a lovely holiday, the caravan facilities was very good, very clean and tidy, definitely was an experience to repeat, we loved it! Are family had such a lovely holiday. I would highly recommend staying in this caravan. 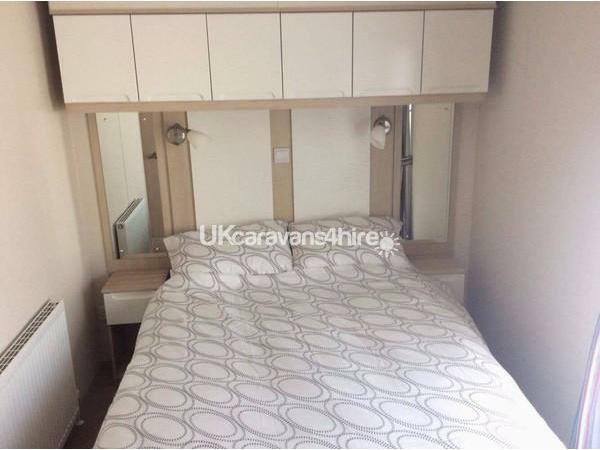 Very good location, plenty of space, and beds are very comfy. Would defenetly return. Thank you for all your help Richard and we will defenetly be in touch for another break.